If you are in the market for your first new car, a third car for a growing family, or simply something that fits comfortably into your monthly budget, a subcompact car is a great option. These small cars have a low asking price at every trim level, as well as great gas mileage over all, helping you keep your transportation costs low. 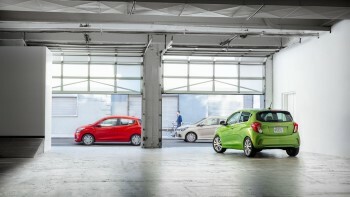 As you explore your options, consider both the 2016 Chevrolet Spark and the 2016 Fiat 500. 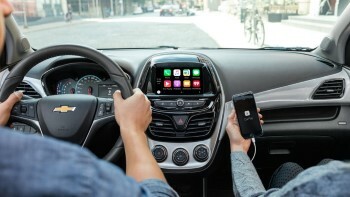 After reading a comparison, plan on making the short trip from Bloomingdale to check out the Spark at Sunrise Chevrolet in Glendale Heights. Go with the 2016 Chevrolet Spark and keep thousands of extra dollars in your pocket. 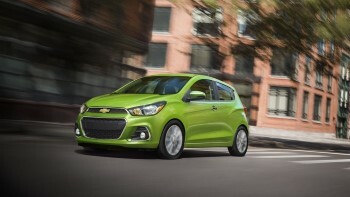 2016 Chevrolet Spark Price: MSRP from $12,660 to $17,285. Gas is a major expense that you have to pay for month in and month out. The 2016 Chevrolet Spark helps you go longer between fill ups. Maximum fuel efficiency comes in at an impressive EPA-estimated 31 mpg city and 41 mpg highway with a 1.8L four-cylinder engine equipped with a continuously variable transmission (CVT). The Fiat 500 also comes a 1.4L four-cylinder engine, but its maximum fuel efficiency is rated lower at an EPA-estimated 31 mpg city and 40 mpg when equipped with a five-speed manual transmission. Opting for the automatic transmission actually lowers fuel economy on this model. So you’ll be spending more money upfront and at the pump. When you have large or bulky items that you need to transport, the 2016 Chevrolet Spark gives you more room to work with. Dedicated cargo room measures 11.1 cubic feet. Plus, the four-door design makes for easier loading. In the Fiat hatchback, dedicated cargo room measures only 9.5 cubic feet. A two-door design is the only one available. 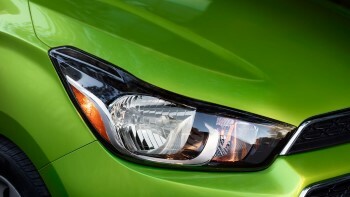 In the event of a collision, you will feel a lot better protected if you’re riding in a 2016 Chevrolet Spark. The IIHS gave the Spark a rating of “Acceptable” in the important small-overlap frontal-offset test. For the Fiat, the IIHS gave the Fiat subcompact a worrisome rating of “Poor” in the same test. Your 2016 Chevrolet Spark will run stronger for longer thanks to the generous warranties offered by the automaker. 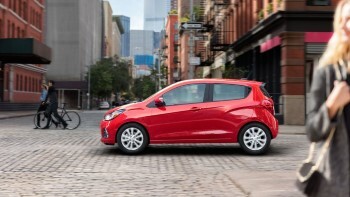 Chevrolet Spark Warranty: Each trim comes with a lengthy 60,000-mile/five-year drivetrain warranty and five years of complimentary roadside assistance. 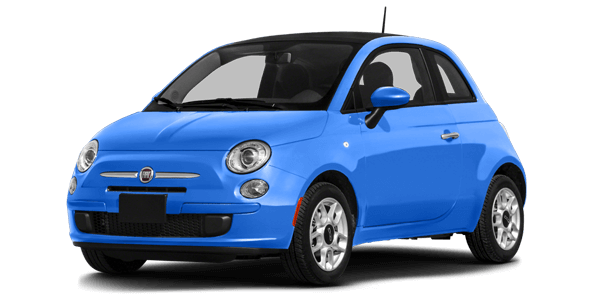 Fiat 500 Warranty: Each trim only comes with a 50,000-mile/four-year drivetrain warranty and four years of complimentary roadside assistance. 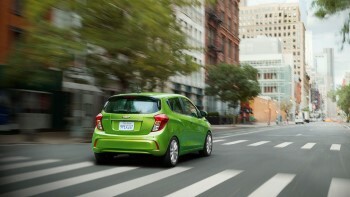 If you want to get more bang for your buck, the latest Chevrolet Spark is an option that is tough to beat. See how it performs in person by visiting Sunrise Chevrolet at 414 E. North Ave in Glendale Heights, IL. Our dealership is only 10 minutes from Bloomingdale and easy to reach by taking Glen Ellyn Road south and turning right at The Brunswick Zone. If we can answer any questions, please contact us.